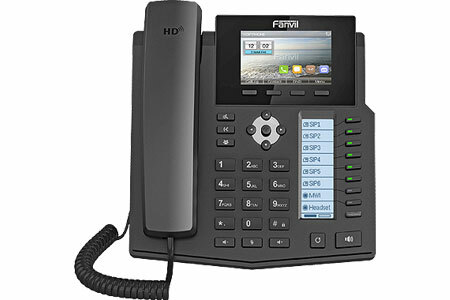 Fanvil engineers high-quality IP phones at competitive price-points that work for a wide range of VoIP phone systems. 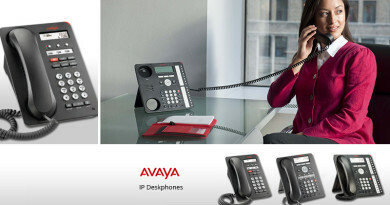 They make SIP phones, which work with any SIP-based phone system. 3CX is a software IP PBX for business. Usable either on-premise or in the cloud, 3CX is highly scalable and has options for contact centers. In fact, it works for an unlimited number of users. You can choose your own SIP trunk, your own cloud provider, your own hardware—it’s tremendously flexible. This is why 3CX is used so widely around the world by companies like American Express and organizations like MIT. 3CX is designed for the modern office with extensive unified communications features, including corporate chat and browser-based video conferencing. It offers Android and iOS apps. Simple to deploy, 3CX has a browser-based user interface that makes adding extensions, configuring security or QoS settings, and pushing updates or upgrades. For guides on how to configure Fanvil IP Phones with 3CX, visit What SIP Phone Can I Use with 3CX? on 3CX’s website. 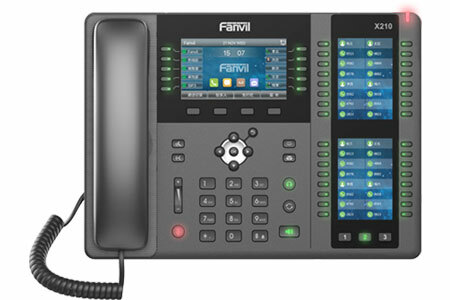 Fanvil X5S is a mid-range IP phone with support for six SIP lines. X5S features Fanvil’s HD voice technology, giving you rich, wideband audio on your calls. The phone features a secondary display for eight feature keys across up to five virtual pages, giving you an amazing 40 additional keys. You can configure what these keys do, including setting numbers for speed dial or calling local extensions. Fanvil X5S takes advantage of 3CX’s flexibility, providing an all-around solution for business telephony. Yeastar builds modular IP PBXs for on-premise control of your IP phone system. Yeastar S-Series IP PBXs allow you to choose modules to integrate devices, whether they’re VoIP or analog. 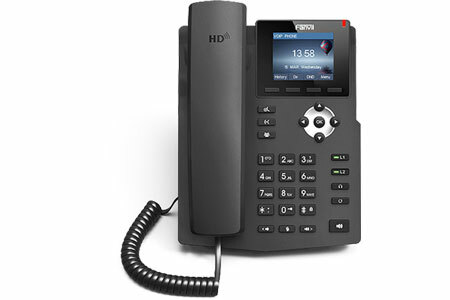 Yeastar IP PBXs are interoperable with an enormous range of brands and are tremendously versatile. 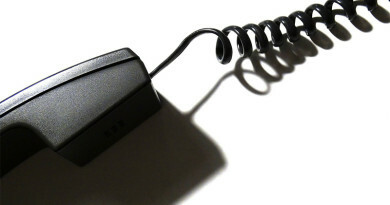 You can use them with SIP trunks, VoIP phones, IP intercoms, and more. The Yeastar App Center lets you customize your PBX experience without being charged extra for licensing. Options include the Linkus Mobile Client app for Android and iOS, Hotel App, and a VPN Server. To configure your Fanvil IP Phones with a Yeastar S-Series IP PBX, visit Yeastar’s Auto Provisioning guide. Fanvil X3G is an entry level IP phone that provides a robust set of features without bogging the user down in options they’ll never use. FusionPBX is a popular, free, open source software PBX that uses FreeSWITCH as its base. With FusionPBX, you get a clear graphical interface for FreeSWITCH, which makes it simpler to use. 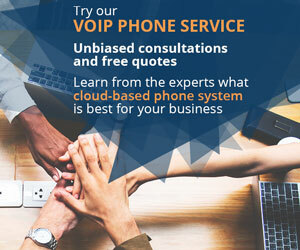 FusionPBX is a full-featured IP phone system that supports unlimited extensions with all the typical IP PBX features, as well as advanced features like voicemail-to-email, ring groups, and interactive voice response. Crucially, FusionPBX also supports multi-tenancy from a single install. It scales from the smallest home office to corporate-level phone systems, providing a nearly endless amount of customization options. To configure your Fanvil IP Phone on FusionPBX, visit FreePBX Hardware. 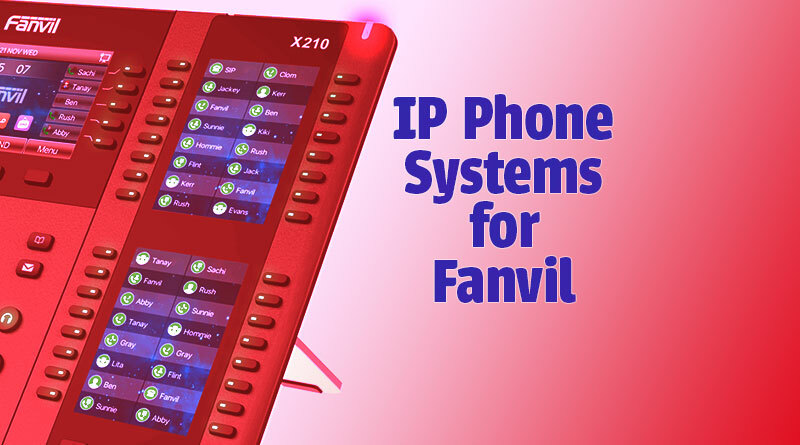 The brand new Fanvil X210 IP Phone solves numerous problems for elite users. It comes with support for 20 lines and, essentially, an integrated expansion module. X210 has 10 DSS keys by the large color primary display. But it also has two secondary displays with an additional 32 DSS keys. Because the secondary displays handle three screens, you get an incredible 106 keys from a single phone! 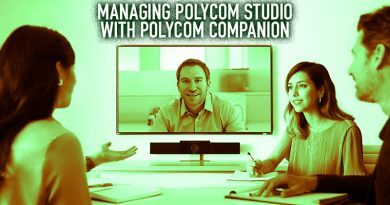 On top of that, you get built-in Bluetooth compatibility, WiFi connectivity using a dongle, and IP camera or video intercom integration, so you can see people at the door from your deskphone. It has a USB port for recording calls, charging devices, and more. Fanvil’s HD voice technology ensures your calls are rich and lifelike, both from the handset and the speakerphone. 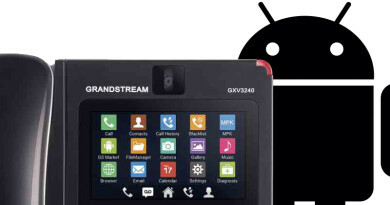 In other words, Fanvil X210 is the perfect phone to make full use of the power of FusionPBX. For more Fanvil IP Phones, visit IP Phone Warehouse today! ← What Axis Camera Should I Get?